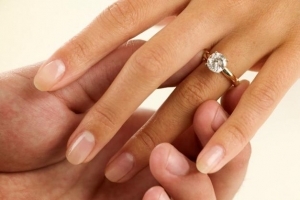 What happens if the marriage is not celebrated? Pursuant to Article 79 of the Italian Civil Code, a promise does not oblige to contract the marriage or to perform what it was agreed in the case of non-compliance. The promisor may claim the restitution of gifts gaveas a result of the promise of marriage, if the marriage was not celebrated. The claim for restitution may be brought within one year from the day of the refusal to celebrate the marriage or from the date of the death of one of the promisor. A promise of marriage obliges the promisor that without a cause refuse to celebrate the marriage, to compensate the other party for the the expenses and the damages caused. The obligation to compensate is also for the promisor that with his misconduct has caused the rejection of the other promisor to celebrate the marriage. The action for damages can be brought within one year from the day of the refusal to celebrate the marriage.